Helps to fight free radicals. Our extremely powerful antioxidant nutrient formula contains high levels of flavonoids and carotenoids. Carotenoids in plants and humans are extremely useful in that they maintain intracellular communication, protect against damage from UV light and primarily help to retain integrity in specific body tissues. Flavanoids act as a guard in plant tissue to protect the plant (especially its DNA). When we eat these, it acts in very much the same way. They come in a variety of different colours and each of them distinct in their actions. 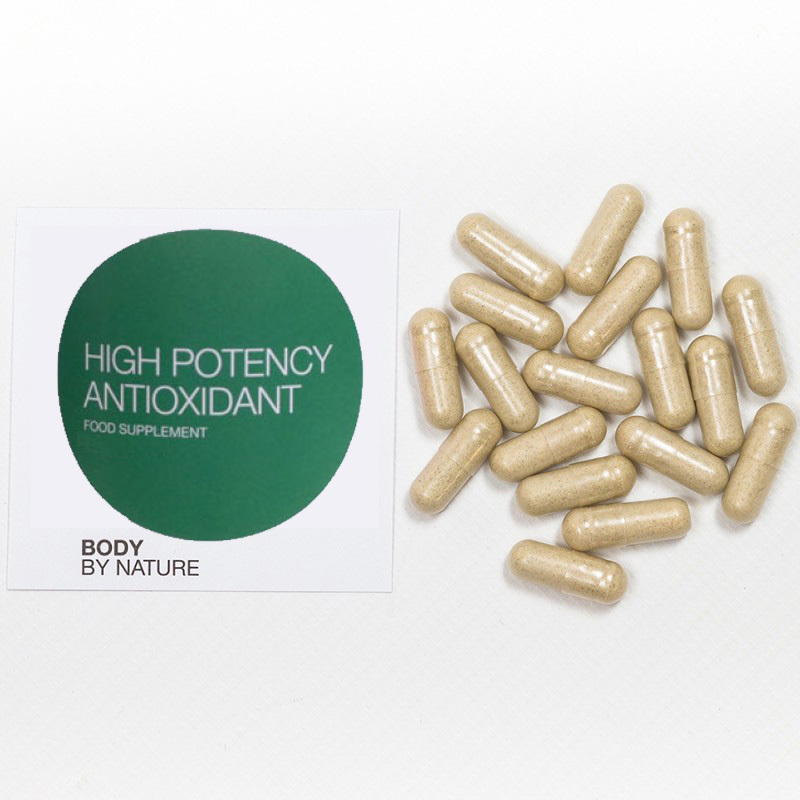 Here at Body By Nature, we have taken the very best flavanoids from each colour and potency. Nearly all flavanoids are water-soluble with the body only storing them for a short length of time (roughly 48 hours). Because of this, it is vital that the body receives a steady supply of these essential nutrient groups. Body By Nature's supplement is ideal for those of you that can’t get enough anti-oxidants from natural sources. Once consumed, our product will help the body to fight free radicals. These free radicals can obliterate cells one at a time so it is vital to reduce the amount to ensure good health. Each capsule has an ORAC (Oxygen Radical Absorbance Capacity) score of 5,000 units. This shows incredible antioxidant activity when you consider that 5 portions of fruit and vegetables yield only 1,500 ORAC units. Body by Nature Whole-food supplements are made from minerals that have been hydroponically– grown into a cruciferous vegetable (brassica), that is a member of the broccoli family of vegetables. The brassica base also contains additional nutrients and acts as a food base to help absorb and metabolise the nutrients. We take whole foods from nature that are grown organically, dry them, grind them up, put them into powders, and then encapsulate those powders or shape them into pills or tablets. That’s the way to get your nutrition in the modern world. The plant we use in our product is an edible species which has a great capacity to bio-accumulate excellent levels of minerals to allow for good levels to be achieved in small doses of supplementation. These are the only genuine Whole-food supplement products on the market, and early research testifies to their superb bio-efficacy. All our Whole-food products use food metabolic pathways, are suitable for vegans and in capsules.